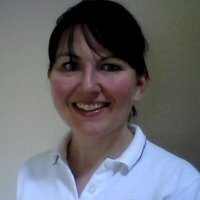 Here at Cowal Physiotherapy, Elaine Graham, Chartered Physiotherapist, has over twelve years clinical experience in assessing and treating a wide range of injuries and conditions. This includes specialist treatment for headaches and migraines as well as vast experience in the treatment of back and neck problems. Elaine can also provide expert treatment of balance and vestibular problems. Elaine is a fully qualified Pilates instructor and is also registered with the Acupuncture Association of Chartered Physiotherapists. Copyright (c) 2013 Cowal Physiotherapy Ltd. All rights reserved.